There are many many events going on this Freshers’ Week and whilst you are all probably going to be busy making new friends, settling into halls, attending events and trying out new societies do have a look and consider coming to these awesome events. There’s more! Think food, bicycles, beach activities, colour fights, and other games, oh, and more food! There are just too many exciting events to talk about here so be sure to click the link at the bottom of this blog to find out about ALL the other Green Events we have going on this Freshers’ Week! The Big Green Fair (St Katherine’s Lawn behind Library, 11am-3pm) is an outdoor festival celebrating the environment, with live music and great local food. Find out more about what our eco-friendly societies are up to this year and how to get involved in their activities and projects. The Environment Team (that’s us) will have a stand there too so be sure to pop by and say hi. The Big Free Giveaway (Arts Lecture Theatre, 11am – 3pm) is an event where household items, kitchenware and stationery donated by previous students will be up for grabs! It’s a popular event so do make sure to arrive on time! The St Andrews’ Veg Soc and Inklight Soc (Cockshaugh Park, 2pm – 4pm) are collaborating to bring you an exciting event filled with poems and smoothies! They will even have their own Smoothie Bike so you can make your own smoothie in a green way! The Community Garden Sessions (Uni Community Garden, 2pm – 4pm) offers the opportunity for you to gain the knowledge and skills to grow your own food! With the University now having 10 food growing spaces that are open to students, staff and local people it’s also a very popular part of life here. Come along to learn more and enjoy some of the food from our gardens (a Transition event). Transition St Andrews is part of a UK based initiative to reach out to academic and non-academic communities through events and training to help make communities more sustainable and aware of our impact on the world. Head down to East Sands to meet more of the team, learn about what is going on this year and have a fun and relaxing afternoon on the beach (Sea, Swim, BBQ)! The Wildlife and Conservation Society (WildSoc) are having a Scavenger Hunt (Rectors Café, 10am – 12pm) across St Andrews followed by a Pub Quiz (Drouthy Neebors, 7.30pm) at Drouthy Neebors. This one is not to be missed! 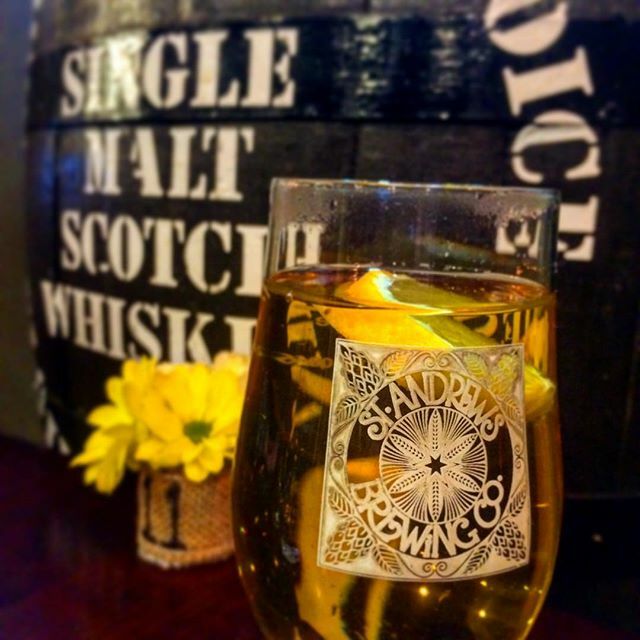 Want to meet some like-minded people and have a drink at the same time? Then come along to Green Drinks (St Andrews Brew Co, 5pm – 8pm) for the chance to meet people who are also interested in environmental issues and have a try of some local beer (or whatever takes your fancy). On Saturday join and meet the cycling community of St Andrews at St Andrews’ Bike Fest (Agnes Blackadder Hall, 11am – 2pm) where you can grab yourself a bargain ride, find out about training, maintenance and other bike help. There will be around 100 quality second hand bikes for sale plus many to rent through Bike Pool so make sure you arrive early as its going to be a popular event! This is the perfect opportunity to learn how to fix your bike and grab a bargain. Freshers’ Fayre is by far the biggest event of Freshers’ Week! On Sunday you will be able to discover all the different societies that you can get involved during your time in St Andrews. Be on the lookout for Transition, The Environment Team and Fairtrade St Andrews and all the other brilliant societies! We look forward to welcoming you to the Green Bubble very soon. Have a great Freshers’ Week! For more information on all other Green Events click here. Lindsey Mackay, the Sustainability Intern for the Environment Team, discusses Fairtrade and shares a recipe which can be enjoyed by everyone. The Environment Team strive to improve the sustainability agenda across the University and St Andrews. Fairtrade is an international movement helping to improve trading conditions for producers in poor countries. The movement strives to achieve and maintain fair prices for farmers to cover aspects including production costs, and to ensure that they can achieve long term sustainable living. In addition, Fairtrade guarantees long term contracts with the farmers to provide security for their families and local communities, and the opportunity to benefit from expertise that will enhance the skills needed to develop their businesses and increase production in a sustainable way. Fairtrade is fundamental to changing the lives of farmers’ and workers’ lives for the better. For example, according to latest data from the Fairtrade Foundation, workers on plantations spent 26% of their Fairtrade premium on education1. Look out for the Fairtrade symbol when you are at the shops. It is important that we all think about the choices we make on a day to day basis, particularly when they can directly affect the livelihoods of others. Having researched the effects of the international food trade during my time at University, I strongly believe in movements like Fairtrade. We can often take the food on our plates for granted, but I have come to discover and learn about the shocking, unjust, and yet sadly true stories behind the treatment and payment of farmers who work hard to support and provide for their families and local communities. I now actively seek to look for the Fairtrade Mark (see picture above) when I go on my weekly shop, and it’s easier than you think. Many products are covered by the mark including bananas and chocolate (two staples of my weekly shop), yet still more can be done. You can play an important role in supporting this movement by looking out for and buying products in your local supermarkets and shops with the Fairtrade Mark on the packaging. I have to admit that I am a bit of a baking enthusiast. If I could live of cake for the rest of my life I would. I like to think of myself as a good baker, however, one bake that has always defeated me is the brownie. Multiple recipes have been tried and multiple methods used but all with the same result; a soggy mess. When I recently received a recipe from a friend I was skeptical due to previous failed attempts in the kitchen but I wanted to give it a go. The result? 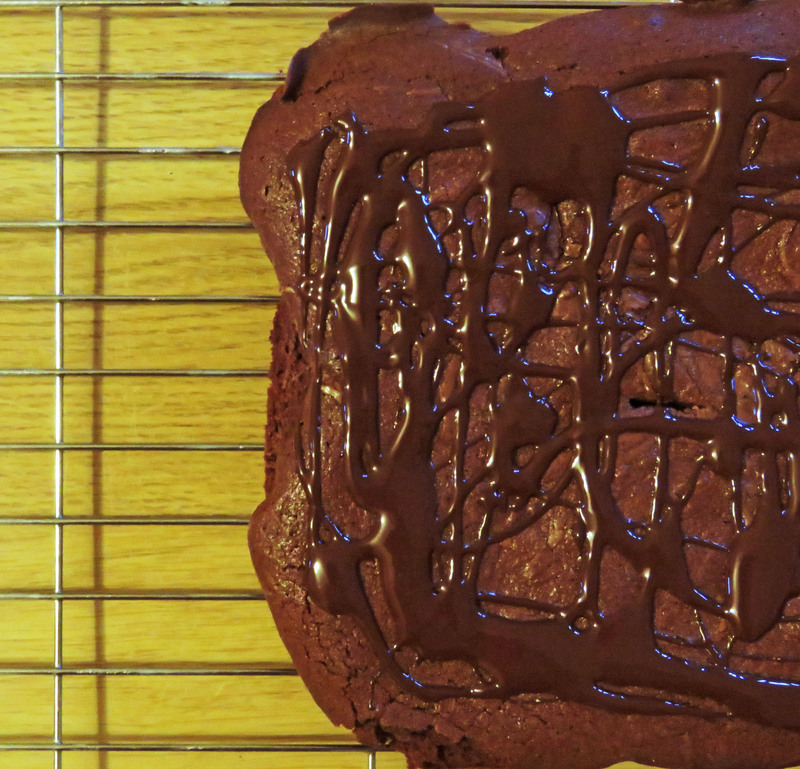 Mouth-watering, rich and moreish brownies that the Environment Team seemed to enjoy. Success! 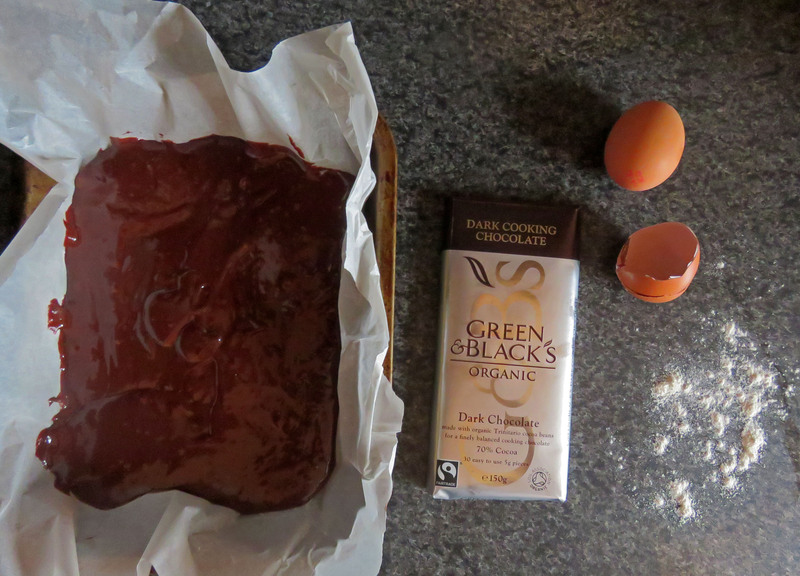 If you want to try out the recipe I was recommended follow the link, and remember to look for Fairtrade ingredients when you go to the shops (I find that Green & Black’s Organic Fairtrade Cooks’ Dark Chocolate works particularly well with this recipe!). Stay tuned for more delicious recipes using Fairtrade products! If you would like to get to more about Fairtrade in St Andrews and how you can get involved please email lm222@st-andrews.ac.uk, visit our Fairtrade Facebook page or click here for more information. Fairtrade Fortnight is the nation’s biggest celebration of all things Fairtrade, and we’ve got a great line-up of events to help you join in the fun in St Andrews. There’s something for all ages and interests, so read on to find out what we have planned, and be sure to get involved! Join local chocolatier, Iain Burnett, for a fantastic fairly traded chocolate tasting experience! Learn more about cocoa’s journey from producer to final product, and discover what makes these multi award-winning chocolates so delicious! Cost: £5, Tickets available here. Support Fairtrade and aid your workout by picking up a free banana from the Sports Centre! Raise a glass to Fairtrade Fortnight by sampling some of the finest Fairtrade and fairly traded wines, in a tasting led by the St Andrews Wine Company. Cost: Free, but booking essential – please reserve your space here. This film focuses on women’s issues in the developing world, which are an important part of the Fair Trade issue. A Powerful Noise weaves the inspiring stories of three ordinary women who have overcome gender barriers to spark unprecedented and remarkable changes in their societies. The film takes you inside the lives of these women to witness their daily challenges and their significant victories over poverty and oppression. Their stories are personal yet illustrate larger issues affecting millions of marginalized women worldwide. A Powerful Noise is a meditation on the inherent potential of women to change the world. For Fairtrade Fortnight, this year’s poetry walk, led by Anna Crowe, finds poems engaging with issues of fair trade and justice in likely and unlikely places around St Andrews. A chance to explore this historic and beautiful Fairtrade town, home to Scotland’s oldest university and the game of golf, through a personal selection of poems. Dependent on fair weather, please check with the StAnza desk. Event presented in association with StAnza, Scotland’s International Poetry Festival and the St Andrews Fairtrade Town Campaign. Want to jazz up a boring tote bag? Drop in any time between 12-4pm to upcycle one you already have or decorate one of our 100% Fairtrade cotton bags with any design you like! Craft supplies, tea, coffee, and biscuits will be provided. Be sure to like the Fairtrade in St Andrews Facebook page for all the latest updates! What makes St Andrews a Fairtrade University? The University of St Andrews was recently re-awarded Fairtrade University status by the Fairtrade Foundation…but what does that mean? Not only does the university have its own Fairtrade policy, but the Students’ Association has one too! Both are publicly available on the university’s website, and are reviewed regularly. By supporting Fairtrade we are doing our bit to help support farmers, producers, and their communities by guaranteeing better prices, working conditions, and terms of trade to allow them to develop their farms whilst also protecting the environment in which they live and work. The university’s cafes stock a wide range of Fairtrade food and drink including coffee, tea, sugar, fruit juice, chocolate bars, cookies, and flapjacks. The Students’ Association shop also sells a wide variety of Fairtrade clothing including hoodies, t-shirts, polo shirts, and jogging bottoms of various designs. In catered halls of residence, fairly traded rice and lentils are served. The university is participating in Just Trading Scotland’s Rice Challenge, and has so far raised enough money to send fourteen Malawian children to school for a year. Fairtrade coffee, tea, sugar, and hot chocolate are the only options offered at meetings and events hosted by the university. Not only that, but the range of products has recently been expanded to include decaf coffee and flavoured teas! These Fairtrade products are also served at weddings catered by the university, and all graduation garden parties and dinners. Every year the Fairtrade steering group hosts a number of events to help raise awareness of Fairtrade. This semester we have held a Fairtrade bake sale in conjunction with the university’s Oxfam society, and have published a Fairtrade Christmas Gift Guide to help provide some inspiration for your festive shopping! Fairtrade Fortnight is coming up in February and will see a whole host of events being held to raise the profile of Fairtrade on campus, so watch this space for more details early next semester! Our Fairtrade steering group meets monthly to discuss various Fairtrade issues and ideas. The groups is composed of staff from the Environment Team, Residential Services, Catering, Procurement, and Students’ Association, as well as students from a variety of year groups, and representatives from the St Andrews Fairtrade Town Campaign. This year we have also taken on a Fairtrade Events Intern to assist with the planning and publicity of all our events, and are always looking to grow our steering group – if you’re interested just email fairtrade@st-andrews.ac.uk for more information! So there you have it! Being named a Fairtrade University is a wonderful accolade, and we hope to build upon our current successes and expand our range of products. If you have any ideas of your own, or want to get involved, contact fairtrade@st-andrews.ac.uk to get started! Iain Burnett specialise in fairly traded chocolates. Their famous speciality truffles have just started being sold in the store, but there are a range of chocolates available from fruits to floral. The perfect gift for all chocolate lovers! If you are looking for something a little different, Oxfam currently have a wide range of household items, stationary and gifts, including gifts designed just for Christmas! It’s well worth a look if you aren’t sure what to get for someone. For cute and individual decorations and pieces Bonkers have a range of Fairtrade wood, metal, glass and fabric gifts. Looking for something that screams St Andrews that will also keep you warm in the cold winter months? Your Shop in the Students’ Association have some lovely Fairtrade cotton clothing including t-shirts and sweatshirts. Perfect if you are looking for a gift for yourself or someone else. For the person who likes a bit of pampering, Boots extract range is all Fairtrade and includes: body butter, body wash, and sugar scrub, in a variety of scents. Perfect for a “treat yourself” evening. For Teas and Coffees, try: Balgove Larder, Save the Children, St Andrews Health Foods, Sainsburys, Tesco, Starbucks, Morrisons, and Spar. For Chocolates try: Burns Sweet shop, Mitchells Deli, Holland and Barrett, and Luvians Ice Cream Parlour. For sports lovers…check out Bala and Nigel’s Eco Store for a range of Fairtrade footballs. For those who enjoy a tipple…why not get a bottle or case of Fairtrade wine, or for something stronger, try Fair Spirits’ quinoa vodka or Belize rum? For those that like to accessorize…check out the ethically cool jewellery ranges available from Eighteen Rabbit, Amazon, and Luna Tree. For children…there is a wide variety of Fairtrade clothing, toys, and more! For more inspiration…browse dedicated Fairtrade retailers like Shared Earth, Eighteen Rabbit or Etiko’s for a huge variety of clothes, accessories, food gifts, homeware, toys, stationary, and much, much more! If you missed all the fun of the (Big Green) Fair on Monday, then don’t worry – there are still plenty of opportunities to meet the green societies and groups based in St Andrews. Check out our previous blog post for the full Freshers’ event line-up, or keep reading for our run-down of the different groups St Andrews has to offer – there really is something for everyone! The Animal Welfare Society (AWSoc) are dedicated to the wellbeing and fair treatment of all animal kind. The society campaigns against cruelty to animals and supports animal-friendly alternatives. The society also volunteers and fundraises for local shelters, and host regular documentary nights. Check out their website and Facebook page to get involved. Join their Facebook group to find out more information about the group and upcoming maintenance sessions. Carbon Conversations are a unique and inspiring series of 6 group discussions, and are cited as one of the top solutions to climate change. The sessions involve group activities, knowledge-building, idea-sharing and reflections, where participants will have the opportunity to explore climate change both practically and emotionally. Sign up for a series of sessions here. The Edible Campus project aims to reinvigorate our skills, knowledge and interest in eating more locally whilst increasing the amount of food growing within the University grounds for the benefit of students, staff and the wider community. There are over 10 different Edible Campus food growing spaces across town, and everyone is welcome to get involved – whether you’re a keen gardener or have never planted anything before! Check out the Edible Campus webpage, like their Facebook page or join the Facebook group for more info! We manage issues affecting the University that relate to sustianable development, including carbon emissions, biodiversity, waste reduction, transportation and resource use. We use this blog to engage with students to provide information on upcoming events and opportunities to get involved in making St Andrews a more sustainable place to live, work, and study. Join us on Facebook and Twitter to keep up with events, and drop us an email (environment@st-andrews.ac.uk) or check out our website for practical information regarding sustainable travel, food, energy use, the local environment, and waste management. The Fairtrade Steering Group promotes the use of Fairtrade products across campus and works on Fairtrade initiatives. The group also organises events for Fairtrade Fortnight, which takes place in semester 2 with Fairtrade wine tasting, bake sales, talks, visits to local schools, and the ever-popular Fairtrade Cook-Off! Like their Facebook page or email fairtrade@st-andrews.ac.uk to get involved! Greenpeace exists because this fragile earth deserves a voice. It needs solutions. It needs change. It needs action. If you like a good project and a good cause, join Greenpeace. The group encourage you to join the action and the fun in any of their weekly meetings, street campaigns, actions or socials! Find them on Facebook or Twitter to start getting involved. OneWorld campaigns on human rights, poverty, and the environment as part of People and Planet (the largest UK student campaigning network). They also organise numerous events and run the VegBox scheme. Join the OneWorld Facebook group, or the VegBox group to find out more. Saint Exhange is a local trading scheme allowing people to trade locally in and around St Andrews. The scheme allows local residents to join for free and trade goods/skills/services using “Saints”. By measuring trades using “Saints”, the scheme provides a service whereby members can share skills and talents that they enjoy and thus earn Saints, which they can spend them on the things that they want or need from other members. To sign up, check out their website and Facebook page. StAndEn is a community-led energy saving project, which aims to help you reduce CO2 emissions and cut household fuel bills through simple low cost steps. If you live in private rented accommodation, they can do a free home energy assessment and tell you how you can make savings. St AndRe-Use is a student organised reuse scheme in St Andrews. They collect, sort, and give away all donated items for free! St AndRe-Use set up donation points across campus during exam and graduation weeks. They save the environment, space and your sanity from the burden of too much stuff! To get involved check out their webpage, or join the Facebook group to start claiming and giving away items! The Sustainability Society’s mission is to raise the awareness about sustainability issues amongst St Andrews students, and are dedicated to making St Andrews as sustainable as possible. The society undertakes academic, social, and practical activities to implement sustainability at all scales – from organising seminars to practical action. Join in and find out more by visiting their Facebook page. Transition University of St Andrews is part of a global movement responding to the threats of climate change and resource depletion. Transition works on practical projects that help communities become more self-sufficient, minimises environmental impacts, and strengthens community ties. To get involved email transition@st-andrews.ac.uk or explore the many projects on their website and Facebook page. Do you love to eat and cook veggie and vegan food? Then this is the society for you! Join them for veggie feasts, potlucks, parties, picnics, trips and more. Everyone is welcome – no politics, just food. Join VegSoc on Facebook to keep up to date with their events. Interested in wildlife and conservation? This society holds events such as presentations, documentary screenings, moth trapping, bat tracking, local conservation work, and more! Go wild and find out more on Facebook. Most of these groups will have a stall at the Freshers’ Fayre (Sunday 12th Sept, 10-4 in Venue 1) so if any take your fancy then head along to find out more, and sign up to start getting involved in creating a greener St Andrews! But I can’t help but feel its just the beginning of things to come. That’s because today begins Fairtrade Fortnight, the two weeks of the year dedicated to all this Fairtrade! The second week of Fairtrade Fortnight also happens to be Elections week (a great chance to stand for Environment & Ethics rep), and following that mayhem, we’ll be winding up the following week with Green Week celebrations before holidays begin! With dozens of events planned and countless hours preparing all year (it always seems to come faster than expected) we are set to have a fantastic time with loads of great events. I’ve put together a cheat sheet for those who don’t want to miss out on anything but hate having to run the gauntlet to the library with all the flier-handing-out. A free Fairtrade wine tasting on Thursday 27th Feb. Spaces limited so make sure to book your e-ticket at www.st-andrews.ac.uk/fairtrade/. Ever wanted to plant a tree (or two)? Well your chance is coming up. Two tree planting events will be held during Greenweek, so keep an eye out while the dates are being confirmed. Join us on March 1st as we listen to the experiences of Fairtrade producer, Fatima Ismael, discuss her experiences as manager of a Nicaraguan Fairtrade coffee cooperative. A great chance to touch up on your Spanish as she will be speaking in her native tongue with a translator. Cycletricity is back again! Watch the sports clubs compete to see who can generate the most bike-powered energy in this day-long event held in the centre of town in Church Square. What better way to begin Green Week than with a ceilidh! Get your green on! It’s the third Sunday of the month: your turn to cook dinner – that’s fine because you’re not in charge of washing the dishes. As you meander through the store aisles, you remember that your flatmates are picky; John only eats “ethical” meat and Michael, organic produce. Fortunately there are certified products galore in the store, so now the only issue remaining is deciding which ones to purchase. In this time of green consumerism, choosing between certain standards and labels really can be confusing. There are so many issues to consider: your health, the environment, workers’ rights and even animal rights. If you are someone who is interested in conserving biodiversity, hopefully this can shed some light on the labels that we see in Tesco Morrisons or Sainsburys, more specifically, the Rainforest Alliance, the Marine Stewardship Council, the Soil Association, Certified Humane and the Fairtrade Foundation. The MSC encourages sustainable fishing practices to preserve marine life by proposing standards for fisheries to follow if they wish to be certified. Part of the standards require sustainable management of stock populations and that the fishery operations have as little impact as possible on the local environment. This can be done through effective waste management and by ensuring that none of the farmed species escape into the wild. This way, the species diversity and structures of nearby natural ecosystems are preserved. Additionally, the MSC prides itself on its products’ traceability, that is, the chain of custody that can allow consumers to see where their seafood came from and how it ended up on the store shelf. The MSC also encourages fishers to be more aware of bycatch and the effects of their fishing on non-target species. Sometimes, turtles or even dolphins are captured as bycatch when fishers lay out long fishing lines with many hooks, and these hooks can end in places such as albatross nests (Agnew et al 2006). Despite its good intentions, MSC has, at times, been found to act in ways that contradict its principles. In early 2013 National Public Radio published an article detailing that some seafood may be certified by the MSC, despite a lack of accord with MSC certification standards (Zwerdling and Williams 2013). Later in the year, a Nature article included scientist Jenifer Jacquet’s observation that the MSC’s scoring system is subjective and can be understood in ways that would easily allow fisheries to be granted the MSC seal of approval (Cressey 2013). The Soil Association is a British charity that campaigns for organic production of food, clothes and make-up. Unlike some of the other certification schemes, the Soil Association’s standards and requirements are more concrete and easier to locate. By producing goods organically, the Soil Association believes that the Earth’s health improves, as well as humans’ wellbeing. In order to conserve biodiversity, the Soil Association urges farmers to create wildlife corridors to link habitats by establishing hedgerows or field margins, and it prohibits genetically modified (GM) crops. Further, it maintains that any green waste must be checked for GM contamination. Green waste, along with crop rotations, is encouraged as it promotes nutrient recycling and improves soil health. For aquaculture operations, the Soil Association requires detailed management plans that include an analysis about the fishery’s impact on the local environment and how it will be implemented. Even though the Soil Association produces its goods organically, keep in mind that 5% of ingredients are allowed to be non-organic, probably because they are hard to grow organically (Soil Association 2013). Though some products are not grown organically, that does not necessarily mean that they were grown using pesticides. To further its mission of conserving biodiversity and improving environmental quality the Soil Association has introduced new projects, such as the Duchy Originals Future Farming Programme and Low Carbon Farming, to help farmers improve their productivity in an environmentally responsible manner. For more information on the Soil Association’s organic standards, browse through them here: http://soilassociation.org/organicstandards. For people who shop for meat that has been raised ethically, Certified Humane can be their answer. Certified Humane concerns itself with animal welfare; certified farms provide plenty of space in which animals can move, unlike industrial farms where cows, pigs and chickens are crammed tightly into pens. If an animal product is labeled as Certified Humane, farmers have not used antibiotics and have allowed the animals to have access to space, food and water. Some animal activists might take issue with the fact that Certified Humane standards permit beak trimming, but in some cases it is done to prevent hens from violently pecking one another (Certified Humane 2013). Animals products labeled as Certified Humane were not necessarily were raised according to organic standards (Certified Humane 2013). Certified Humane focuses on ethical treatment of animals, while organic programs emphasize environmental health. It is also possible that some meats were raised ethically and/ or organically, but the producers could not afford to be certified. If you want to know more about how your meat is raised, it’s best to do research on the farm on that it came from or you can ask farmers if you buy meat directly from them at local farmers’ markets. Here are the label’s standards: http://www.certifiedhumane.org/index.php?page=standards. In a fashion similar to Certified Humane’s, the Fairtrade Foundation chooses not to focus on the environment but rather on farmers and workers in developing countries. It aims to tackle poverty by empowering producers and giving them the opportunity to be more actively involved in the global market. It still, however, has some rules for producers regarding the environment. It prohibits the use of GM crops, but it does not check for them (Fairtrade Foundation 2008). Buffer zones are required around bodies of water to reduce the risk of chemical contamination from pesticides, and farmers must report how they measure soil quality. The Fairtrade Foundation encourages farmers to be aware of local wildlife so that they do not hunt or collect threatened species or introduce invasive species to the area. Though it has taken some measures to protect the environment, the Fairtrade Foundation can do more. For example, with a stricter GM crop policy, local systems can support native species, which in turn can support farming productivity. If you are interested in Fairtrade and want to stay up-to-date on all things Fairtrade-related in St Andrews, like and follow the Fairtrade in St Andrews Facebook page: http://www.facebook.com/FairtradeInStAndrews. So, why is biodiversity important? Biodiversity is the variety of life on earth. Without it, life would be bland, not to mention difficult. Can you imagine living without seeing different types of plants, animals and climates? All organisms – big or small – play a role in a complex network of ecosystem dynamics. While we may not be conscious of it, we are dependent on these ecosystems for the services and resources that they provide. They act as storm buffers, pollution filters, water purifiers and climate regulators. Sand dunes on beaches serve to lessen the impact of storms, which is why there has been a concerted effort to restore West Sands in the past few years. Medicines, cosmetics and some foods come from plant species found in select parts of the world. If biodiversity “hot spots” like the Amazon Rainforest continue to be degraded and destroyed, our favorite foods will disappear from our diets, and we risk losing valuable cultural knowledge that can better inform us about plant and animal species. When it comes to buying food, try to educate yourself about the food’s origin by finding out where and how it was produced. While it may not be immediately obvious, those labels, like the Rainforest Alliance frog on the tea boxes, remind us that our lifestyle choices affect other species and people somewhere else in the world. Agnew, D., Grieve, C. , Orr, P., Parkes, G. and Barker, N. (2006) Environmental benefits resulting from certification against MSC’s Principles & Criteria for Sustainable Fishing, London: MRAG UK Ltd and Marine Stewardship Council. Certified Humane (2013) ‘Beak Trimming’ [online], available: http://www.certifiedhumane.org/uploads/pdf/Fact%20Sheets/beak_trimming.pdf [accessed 4 Jan 2014]. Certified Humane (2013) ‘Does Certified Humane mean organic?’ Frequently Asked Questions [online], available: http://www.certifiedhumane.org/uploads/Frequently%20Asked%20Questions%2011.5.13.pdf [accessed 5 Jan 2014]. Cressey, D. (2013) ‘Eco-label seafood body attempts to convince critics’, Nature, 17 July, available: http://www.nature.com/news/eco-label-seafood-body-attempts-to-convince-critics-1.13409 [accessed 4 Jan 2014]. Fairtrade Foundation (2008) ‘Are Fairtrade Products Guaranteed to be GM Free?’ Q&A: Fairtrade Standards and Genetically Modified Organisms (GM) [online], available: http://www.fairtrade.org.uk/includes/documents/cm_docs/2011/f/fairtrade_gm_q_a_jan_08.pdf [accessed 6 Jan 2014]. McAllister, S. (2004) ‘Who is the fairest of them all?’ The Guardian, 24 Nov, available: http://www.theguardian.com/lifeandstyle/2004/nov/24/foodanddrink.shopping1 [accessed 3 Jan 2014]. Rainforest Alliance (2014) ‘How Does Rainforest Alliance Certified Compare to Fair Trade Certified?’ [online], available: http://www.rainforest-alliance.org/agriculture/faq-fairtrade [accessed 3 Jan 2014]. Soil Association (2013) ‘Standards’ What is organic? [online], available: http://www.soilassociation.org/organicstandards [accessed 4 Jan 2014]. Sustainable Agriculture Network. (2010) ‘Farm Standards’ [online], available: http://www.sanstandards.org/userfiles/SAN-S-1-1_2%20Sustainable%20Agriculture%20Standard_docx(1).pdf [accessed 3 Jan 2014]. Zwerdling, D. and Williams, M. (2013) ‘Is Sustainable-Labeled Seafood Really Sustainable?’ NPR, 11 Feb, available: http://www.npr.org/2013/02/11/171376509/is-sustainable-labeled-seafood-really-sustainable [accessed 4 Jan 2014]. 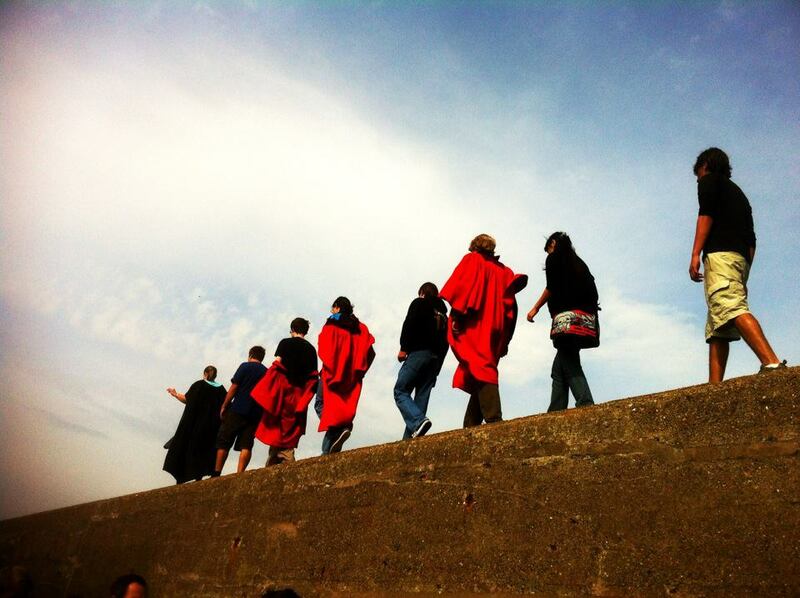 Fascinating blog by local St Andrews students. Check it out! Well for some time now our chefs and catering managers in our halls of residence have been splitting hairs over just these differences. I am here to tell you why – and who it matters to! Our story begins with St Andrews being a Fairtrade town (one word spelling), which has a townwide steering group that meets in order to raise awareness, campaign, and continually improve this status (http://www.fairtrade-standrews.org.uk/). The University also has Fairtrade status (one word spelling as well) and a steering group who do much the same work (http://www.st-andrews.ac.uk/fairtrade/). Both groups are made up of the loveliest people (as I am a member of both I can vouch for this!) and are always eager for newcomers to join them (that means YOU). …As part of the University Fairtrade status, our halls of residence as well as other catering outlets are encouraged to provide as many Fairtrade goods as possible. Thus far we are exceedingly proud to offer Fairtrade coffee, teas, sugar, select baked goods, select fruits, and of course, everyone’s favourite… chocolate! Not content with resting on these laurels, we have been investigating additional Fairtrade items to offer which support the ethical responsibilities taken seriously by the Univeristy (most recently incorporated in or Sustainable Development 2012-2022 policy http://www.st-andrews.ac.uk/environment/sdstrategy/). Fairtrade cotton has caught the attention of BESS, the Student’s Union shop, where select Fairtrade clothing is offered. Most recently however, our chefs discovered fairly traded lentils and rice which comes from Malawian growers and helps support their livelihoods through a give-back scheme (http://www.justtradingscotland.co.uk/categories/901-Malawi-Kitchen/products). We were overjoyed to find these new ethically sourced items to offer in our halls which get consumed by such large amounts and on such a regular basis. So there you have it! Each of these phrases might be a headache to us, our chefs, and the procurement office… but to the grower, say the Malawian lentil & rice farmer, the real meaning is in the action. Fair trade however you spell it should mean ethical trade, a benefitial and just exchange between both parties. So please… continue buying & eating ethically!